Good data management and potential for data sharing is important for research carried out within UKCTAS. Our guidelines are in line with the MRC policy and covers the aspects of data management and sharing that should be considered at the design and planning stage of a project taking place within the Centre. All research that is wholly or partly funded by the UKCTAS should adhere to these guidelines. 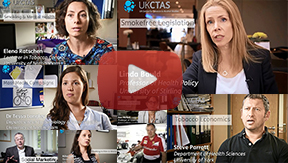 Plans for data management and sharing for individual studies should be described on provided data management plan form and submitted to the UKCTAS data manager prior to commencement of the study.